Ladera is offering a variety of specials for travelers, from free nights to early-bird discounts. All rates INCLUDE continental breakfast, afternoon tea, and full use of the resort facilities - available in the Hilltop Dream Suites and the Two Bedroom Villas. 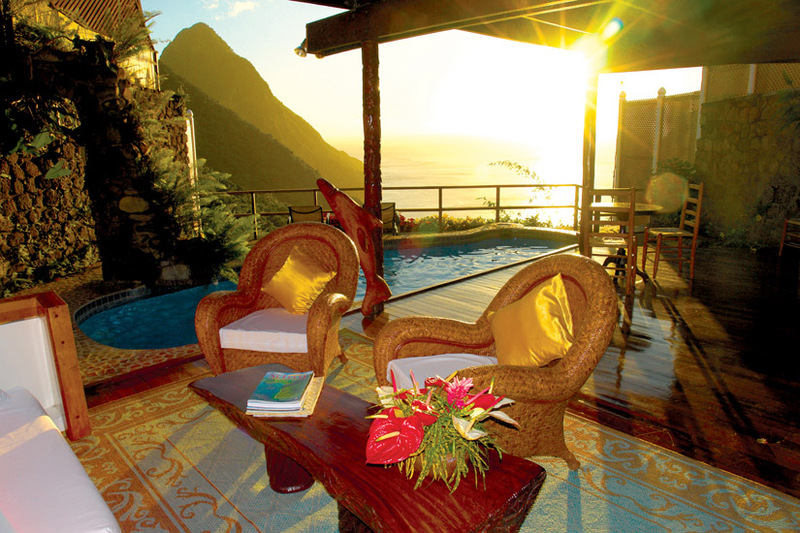 Thanks to the innovative package launched jointly by two of St. Lucia’s iconic hotels, guests can experience the majesty of the dramatic Pitons during three nights at Ladera, the famous open-air hotel in the southern rainforest. very nice place. I love going to beaches with this kind of accommodation. I had a great time in trees and fishes vanuatu accommodation. we had a great and extreme vacation there. what I enjoy most is it is very private. the villa was reserve for us only. Nice post Lucy. I love travelling. Whenever I have the opportunity from my busy schedule I go to different places on vacation with my family. Last year we had a memorable time there. It was an amazing place. But this year I was very confused about my holiday location. After seeing your information about this luxury resort, I think this resort will be the best for my next holiday. Thanks for sharing this valuable information. Going to Caribbean was the first family vacation,I remember all the amazing experiences with being able to spend the whole week with my parents for the first time. Thanks to Portico Club.